According to the Agriculture Council of America, each American farmer feeds more than 165 people, a dramatic increase from the estimated 25 people in the 1960s. And with new advancements in technology, farmers today can also be more efficient and environmentally friendly than at any other time in history. Big data has been a term buzzing around the industry for many years now. And while the idea of collecting information to optimize processes, grow businesses and produce more crops has been widely embraced across the farming industry, the data alone have limited value. To truly make our farmlands more healthy, sustainable and productive, we must work to extract as much knowledge and contextual insight from the data we collect . In honor of National Agriculture Day here in the U.S., a day dedicated to increasing the public’s awareness of agriculture’s role in our day-to-day lives and wider society, it is important to reflect on how far we’ve come and how much of an impact technology has had on this pivotal industry. 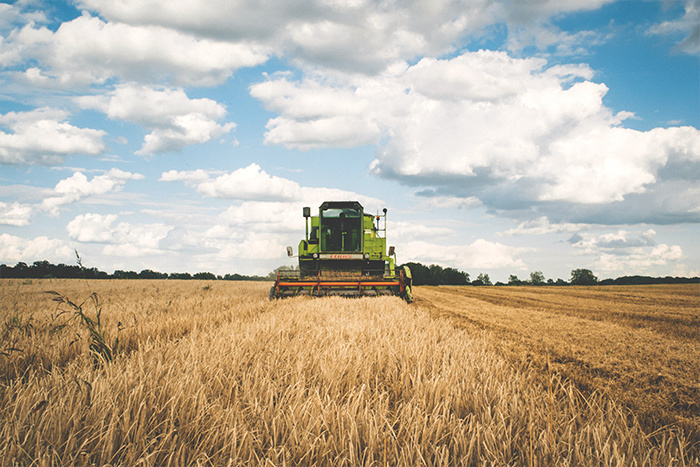 Here are three areas in which the agriculture industry has been dramatically impacted – for the better – by data and the knowledge provided by that data. Irrigation isn’t a new concept – in fact, it is widely thought to have started more than 7,500 years ago in Mesopotamia. Irrigation, in its many forms, is implemented pretty widely, with more than 55 million acres of irrigated farmland in the U.S. (only India and China have more irrigated acreage). Crop yields on irrigated land tend to be two to three times larger than those on non-irrigated land. And in the U.S., many arid areas with great soil and sunshine (California and Arizona, for example) have been put to use for many of our year-round vegetable crops. Irrigation can also put an enormous amount of stress on both the land and water resources. About 70% of the freshwater in the world is used for agricultural purposes. Yet, despite agriculture’s heavy reliance on water, less than 10% of irrigated farms in the U.S. are using advanced irrigation management techniques, such as those using wireless control technology -- even though the number of U.S. farms using wireless as a primary method of internet access grew by more than 950% between 2005 and 2013. Irrigation management requires continual analyses of a variety of complex factors, ranging from weather and soil conditions to land topography, plant type and crop maturity. Advanced irrigation technology can help farmers lower the extremely high risks they naturally face, by applying the required amount of water at the appropriate time, rather than apply fixed amounts of water at fixed intervals. Additionally, 80% of U.S. farmers still based irrigation decisions based on visual inspections of their fields. By only irrigating when necessary based on data analytics, producers can maximize crop yield while minimizing water, land, and electrical resource usage. Agriculture is America’s #1 export. But according to McKinsey & Company, about a third of food produced is lost or wasted every year, which computes to just shy of a $1 trillion economic hit globally. These losses are a result of a combination of inefficiencies across the supply chain, from the farm to the processor to your table. This includes the inopportune timing on the farm around planting, irrigation, fertilization, pest management and harvest. To make things even more complicated and overwhelming, crop production must increase 70% worldwide over the next 35 years in order to feed the expected 9.6 billion people on the planet in 2050. No pressure there. Given that only 11% of the earth's surface is arable farmland – a portion that is declining each year – we must find new ways to use that viable farmland as efficiently as possible. Applying data informatics to digital farming allows agribusinesses and growers to make critical data-driven decisions in real time, thereby increasing crop yields and reducing waste. With contextually relevant, science-based insights, growers can get precise information on field accessibility and optimal timing for planting, irrigating, fertilizing, disease control, harvesting and overall health of the crop. As result, agriculture becomes more sustainable and more productive. In the same vein as harvest is spray management. Growers want to defend their crops from pests and damage but also protect those who grow, buy and consume those crops. As a result, it is critical that crops are sprayed at the right time, in the proper manner, with the correct amount of the most effective products in order to minimize risks of application drift and volatilization – issues that have recently affected crops in several states. We must continue to improve the output and efficiency of our agriculture in the U.S. and across the globe. Utilizing data to generate timely recommendations for planting, irrigation, fertilization, spraying and harvest will allow us to provide citizens of the world with both higher quality and a greater quantity of crops to enjoy while also protecting the land that grows those crops. On this National Agricultural Day, it is important for all of us to look beyond the grocery store to see how technology and data are helping to support – and feed – us all. Michael J. Ostaffe is a director of product management for the Agriculture and Weather Analytics group at Iteris, a global leader in applied informatics for transportation and agriculture. Follow Iteris on Twitter @Iteris.